Did not have my best week since starting this adventure – 4100 km on to go and now my right knee is giving me trouble…..guess running lot’s is not that healthy after all. Have to get an MRI scan next week to see if any damage and assess way forward. Not very happy. But one thing is for sure – I am going! 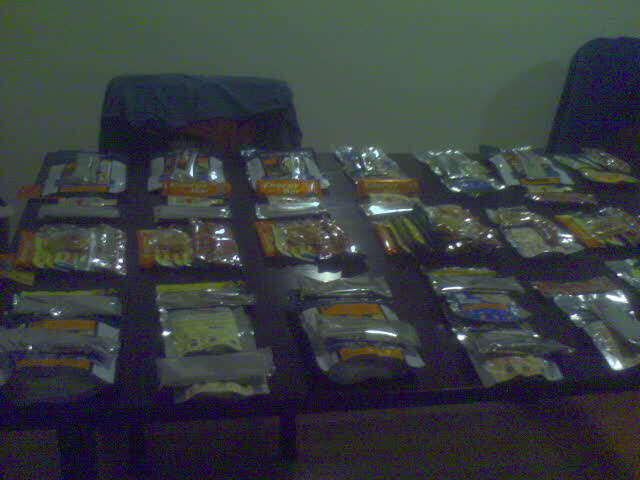 This week I sorted out all my food – still a bit too much I think but at least I know what to take and need only to down size a bit to reduce weight. Next and final step is first aid kit and then I am all ready to rock and roll – Morocco here we come! The last time I ran that marathon I ended up almost last over the line after cruel 7 hours of up and downs, so this year I gladly took the nice offer of a fellow MdS runner who is helping organising the 6 Foot Track and we will close off the race as sweepers. This will give me a nice opportunity to test all my gear during a whole days race and at the same time I don’t have to push my body and knee to the limit. So, fingers crossed for next weeks MRI results and hopefully I see lot’s of you at the Bowling evening next Friday night – attendance is a bit low at this stage so please join us for some fun and help The Fred Hollows Foundation at the same time!